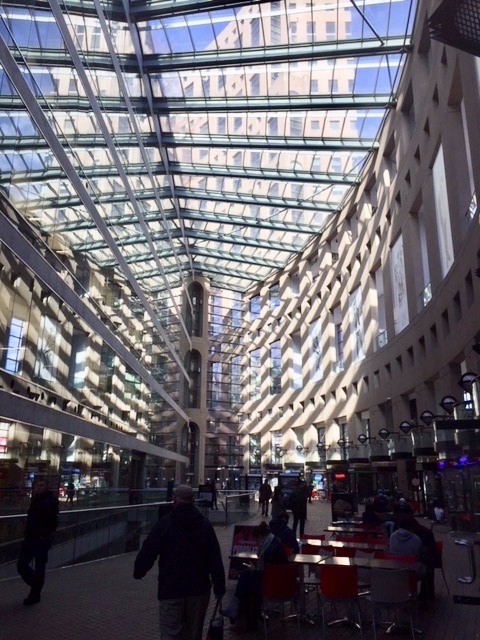 There’s an interesting phenomena for anyone walking in late afternoon around 350 West Georgia and going into the central atrium of the Vancouver Downtown Central Library. 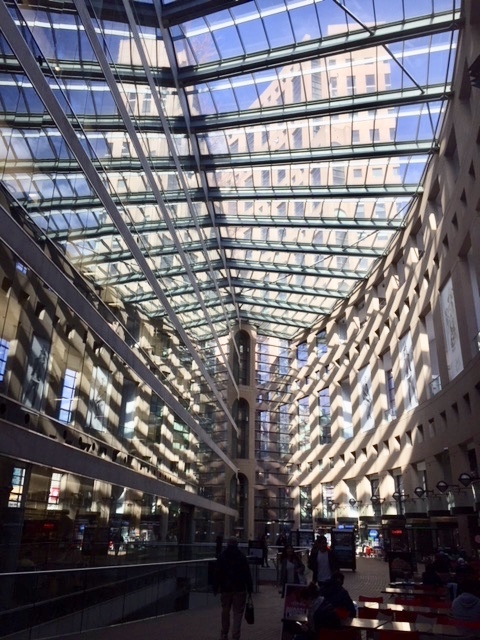 The sunlight angles come right through into the galleria, creating pattern on pattern, and playing with angles and light. After a long winter, it is a great sight to see, and a few people deviated from their walking route specifically to walk through the light patterned space. 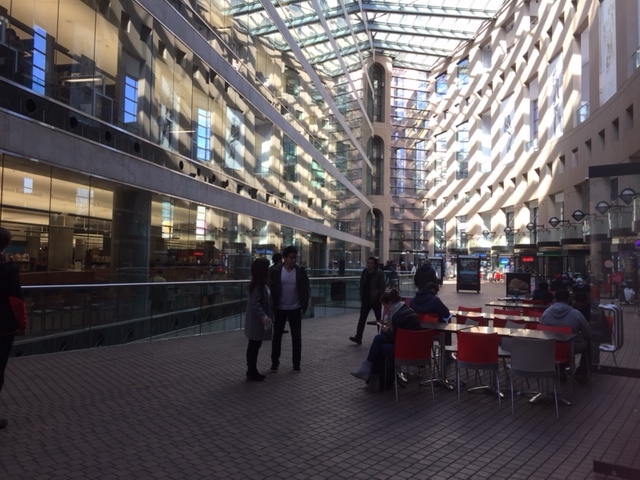 As much as I am a critic of the schlocky and poorly executed neo-Roman facade and the left-over nature of the exterior plazas, I’ve always been impressed by the interior volumes and captured light in the atriums. Also note that the facade disappears into a stark and highly functional, unadorned rectangular library building inserted tightly into notches in the exterior ellipse.